Popular during fall holidays, the pumpkin is one of the most nutritious fruits available. Pumpkin puree is low in calories and fat(100 g fruit provides just 26 calories and contains no saturated fats or cholesterol) and offers a number of vitamins, minerals and antioxidants that support a healthy diet. Pumpkin bread, pumpkin ravioli, pumpkin pie, pumpkin risotto, pumpkin beer — the options are endless, and endlessly mouthwatering. Below, we’ve rounded up some of our favorite health benefits of pumpkin. Pumpkin is an excellent source of fiber; 1 cup of canned pumpkin provides about 7.1 g of fiber, one cup of boiled, raw pumpkin provides 2.1 g of fiber. Fiber helps reduce bad cholesterol levels, protect the body against heart disease, control blood sugar levels, promote healthy digestion. Pumpkin is one of nature’s riches sources of alpha-carotene, a carotenoid that converts to retinol, a form of vitamin A. Vitamin-A supports normal vision and helps your eyes adjust well to the dark. It also promotes the growth and health of cells and tissues throughout your body. Vitamin A also protects you from infections by keeping the skin and tissues in your mouth, stomach, intestines, respiratory, genital and urinary tracts healthy. 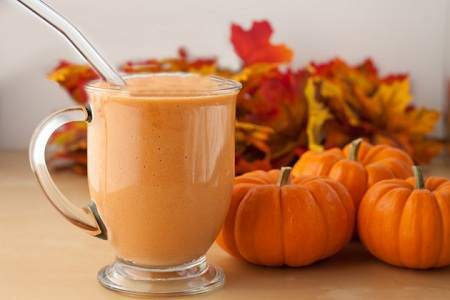 Another carotenoid in pumpkin, beta-carotene, also promotes skin health. Pumpkin is an excellent source of potassium and magnesium. These minerals play essential roles in maintaining blood pressure. A 1/2 cup of canned pumpkin supplies approximately 7 percent of your daily requirement for potassium and magnesium. Pumpkin also produces 10 percent of your daily iron needs and 8 percent of your daily vitamin C requirements. 1. Combine ingredients and apply to a clean face with soft circular motions. Be sure to avoid the delicate eye area. 2. Leave mask on for 10 – 15 minutes. Rinse with warm water, pat dry, and apply your favorite moisturizer. Honey replenishes collagen, jojoba or almond oil moisturizes, ginger draws out toxins while cinnamon improves circulation—all essential for skin health. I do not even know how I ended up here, but I believed this publish was good. and effective, the true MLM review here is about leadership. the front of their business premises. I love your blog.. very nice colors & theme. Did you design thi website yourself or did you hire someone to do iit forr you?